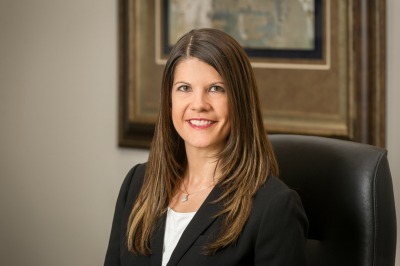 Tara specializes in employment law, advising businesses in a variety of industries on compliance with federal, state, and local employment laws and regulations. Tara assists clients in developing employment policies and provides guidance on best employment practices, employment/termination decisions, and avoiding employment litigation and claims. She advises clients on Title VII, the Americans with Disabilities Act (ADA), the Family and Medical Leave Act (FMLA), the Fair Labor Standards Act (FLSA), the Age Discrimination in Employment Act (ADEA), and other similar federal, state, and local laws and regulations. In the area of wage and hour laws. Tara assists clients in performing internal wage/hour audits to identify potential areas of exposure. Tara also prepares and updates employment policies, employee handbooks, employment agreements, independent contractor agreements, restrictive covenant agreements (including non-compete, non-solicitation, non-disclosure/confidentiality, and non-diversion agreements), and separation agreements/releases for individual terminations and reductions-in-force. Additionally, she develops employee training materials and conducts training sessions on equal employment opportunity subjects and recent changes in employment law. Tara also has a litigation practice and routinely represents public and private employers of all sizes in federal and state court and before federal, state, and local administrative agencies such as the Equal Employment Opportunity Commission (EEOC), the Nebraska Equal Opportunity Commission (NEOC), and the National Labor Relations Board (NLRB), among others. Tara defends employers against claims of discrimination, retaliation, and harassment under Title VII, the ADA, the FMLA, and the ADEA; claims for wage/hour violations under the FLSA and state wage payment laws; and claims alleging wrongful termination and breach of contract. She also assists employers in enforcing restrictive covenant agreements containing non-compete, non-solicitation, non-disclosure/confidentiality, and non-diversion provisions. Additionally, Tara represents business owners, property management companies, property owners, developers, and others with regard to fair housing issues, including complaints under the ADA, Section 504 of the Rehabilitation Act, and the Nebraska Fair Housing Act. Tara also defends organizations against complaints in federal and state court alleging violations of Title III of the ADA with respect to public accommodations.